Start your morning off on a positive note each weekday morning at 8am on 1250WHNZ by tuning in to That Business Show with Jamie Meloni which promotes the entrepreneurial spirit and supports our local business owners by giving them a voice on the air each day. You can watch or listen to the show live at http://www.tampabayradio.com or anywhere in the world on the iHeart Media app on your smartphone. 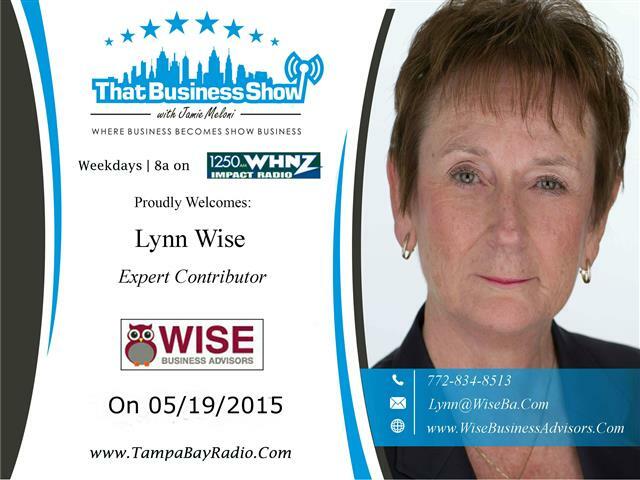 Lynn Wise, Expert Contributor to That Business Show and Founder of Wise Business Advisors, called in at the top of the hour on today’s show to discuss one of her many services she offers to Contractors. Lead generation is an that confounds many contractors as they focus on doing the job each and every day in the field but neglect the back end of their businesses which include the marketing among many others. Lynn assists Contractors in lead generation through the use of social media and will work with Contractors to generate a lead funnel to your Facebook fan page utilizing some techniques and tips she has picked up through experience and study. This along with assistance in the areas of customer service, marketing plans, and website design and consultations are just a few of the many areas that Lynn and Wise Business Advisors are available to assist you in as a Contractor hard at work in the Tampa Bay Region. Lynn offers Contractors who mention that you heard her on the radio a free consultation on ways she can help grow and support your business. Reach our to her today at 772-834-8513 or email at Lynn@WiseBA.Com and visit http://www.wisebusinessadvisors.com for more information! 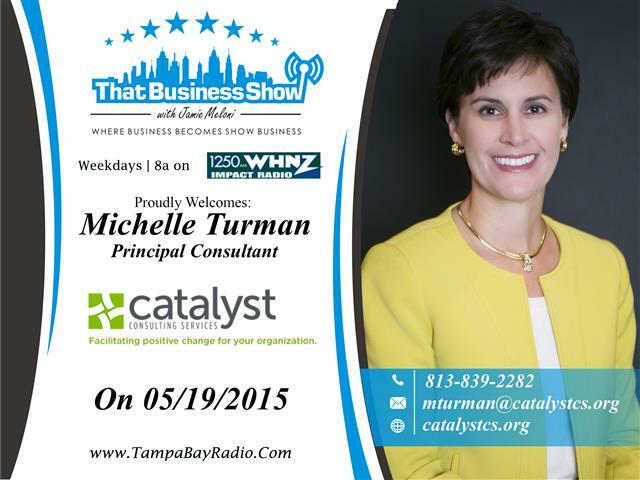 On the 2nd half of the show, I welcomed Michelle Turman, Principal Consultant and Founder of Catalyst Consulting Services. Michelle’s company assists non-profit companies in growth and planning and every organization, whether large or small, requires change at some point to continue its growth. Day to day operations can make it difficult for an organization to undertake the tasks of stimulating, facilitating and coordinating the change effort and that is where Michelle and Catalyst Consulting Services comes in. They offer assistance in many areas from organizational review and assessment to operations management and she noted that the typical consultation takes about 6-8 months of involvement to effect change. Michelle also spent 13 years in museum management and curated many exhibits and worked with the company that found the RMS Titanic. She personally handled many of the artifacts brought up and we discuss this as well as how to involve more women in leadership roles through the mentoring process and she touches on a program at USF that is geared towards assisting young women through mentoring programs. Michelle is available to assist you with non-profit guidance and can be reached at 813-839-2282 or email at mturman@catalystcs.org and learn more at http://www.catalystcs.org!